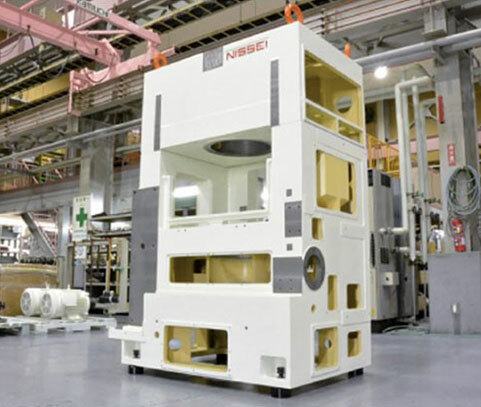 Nissei Industry Corporation – Toyama, Japan established in 1979, is a leader in Japan and the world for Vertical and Horizontal Double Disc Grinders for many years. From its inception, S K B represents Nissei in India. In the last few years the demand for high quality industrial & consumer products has increased dramatically. 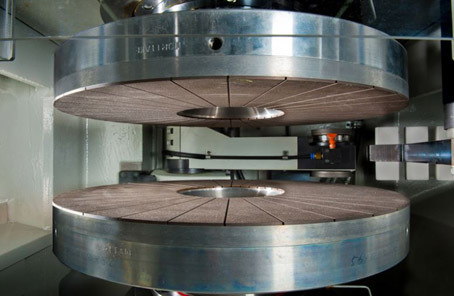 Nissei has been assisting manufacturers in meeting that demand, by supplying them with precise double disc surface grinding machines that reflect Nissei's state-of-art technology. Nissei’s innovative approach to grinding machine technology has made it possible for them to develop machines with superior performance, simple operating commands and improved functions. 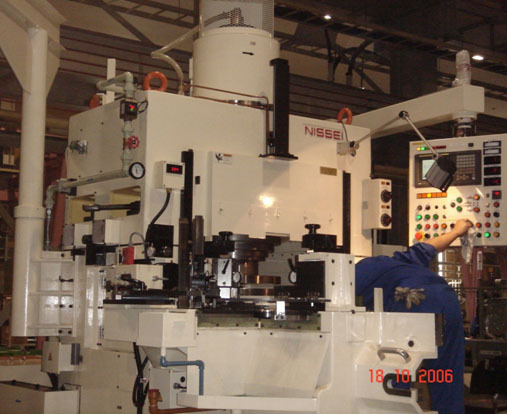 Also Nissei's unique approach to customer service, which emphasizes consultation and dialogue, enables them to custom-make machinery that fits any specifications. 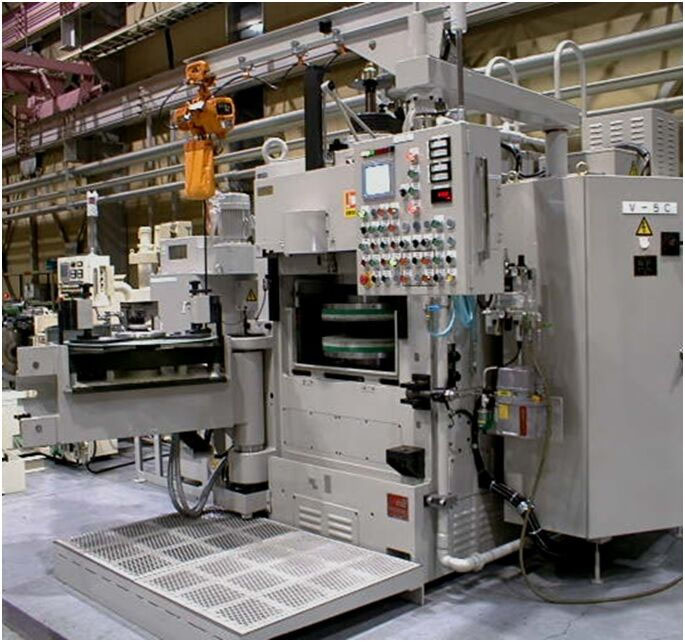 In anticipation of increased demand for automated production systems, Nissei has developed grinding machines for installation on automated production lines. 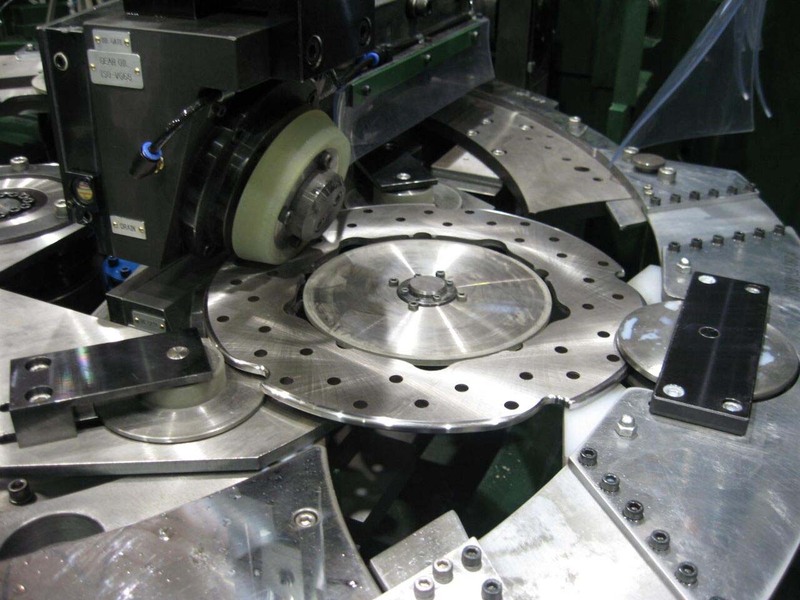 Nissei originally developed the World’s first “Vertical Double Disc Grinder” to compensate for lack of rigidity that is inherent in the design of Horizontal Double Disc Grinders. 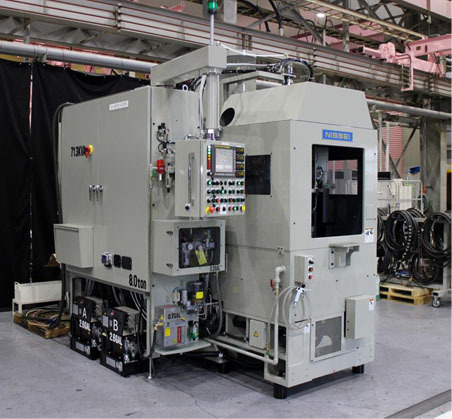 Nissei’s history shows how it developed the first grinding and super finishing combination machine and also “Double Disc Grinder” for Ultra-Thin parts (0.3 mm thick). World’s largest Vertical Double Disc Grinder V-10 TH was custom developed by Nissei for one of their customers. 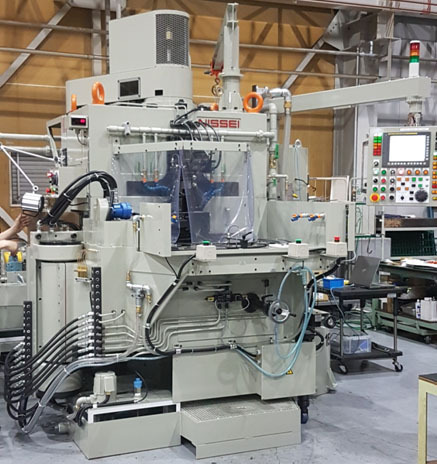 Nissei further developed “H series” High Rigidity Horizontal Double Disc Grinder which adopted quill type main spindles built in box framed bed. Nissei has been and will continue to do the best to respond customer’s requirements with new techniques & solutions. Nissei’s V, VP, VPD etc. 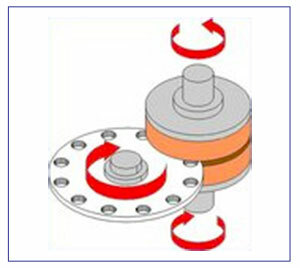 series are mounted on a vertical spindle, which allows greater accuracy in thickness. The grinding wheels’ contact with the work piece is always constant and grinding pressure is evenly distributed over the work piece surface. Several unique & patented features like box frame structure, quill sleeve main spindle, carrier hinged system, backlash elimination system etc. makes Nissei machines very special. 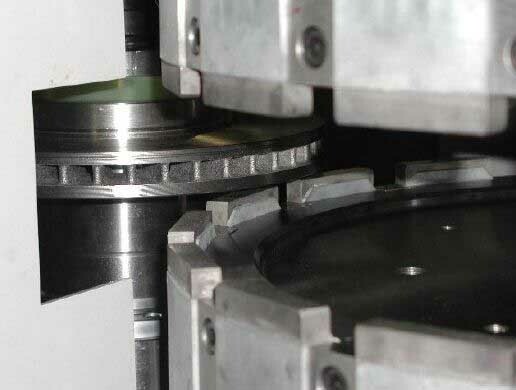 “Double Disc Grinding” maintains an extremely high level of stock removal for grinding and the forces present are correspondingly high.The Double Disc Grinders manufactured by Nissei have the highest standards on rigidity, technology and precision compared to others in the Double Disc Grinder / Duplex Grinder industry. 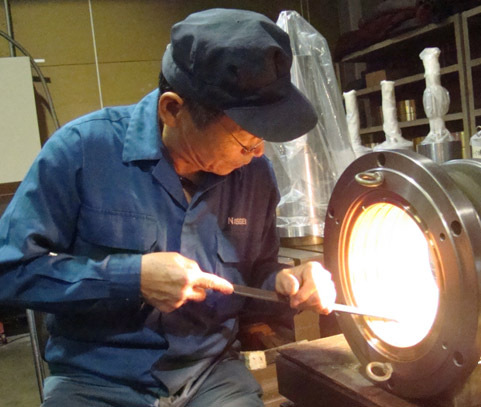 Since its establishment in 1979, Nissei has been chasing pioneering technologies. 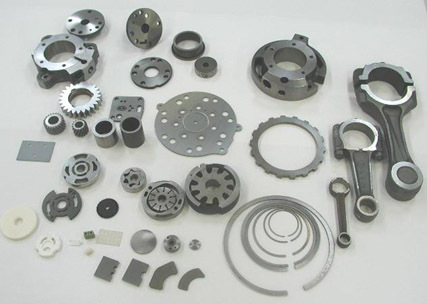 Few of the components which can be ground & process on Nissei machines are, Piston Rings, Bearings, Brake Disc, Brake Rotors, Oil Pump parts, CVT Parts, Connecting Rods, Valve Plates, Clutch Plates, Ferrite components, Shims & Washers, Ceramic components etc. 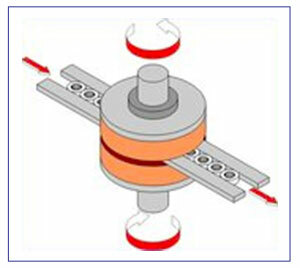 Use of thrust angular bearings in spindle, Quill sleeve assembly for improved rigidity. Spindle and flange forged from one piece of metal. 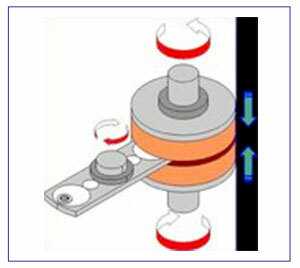 Spline separated from Main Spindle Shaft & can be changed easily. Diameter of Spindle Feed screw is dia 210mm, 3 times compared to conventional ball screws. 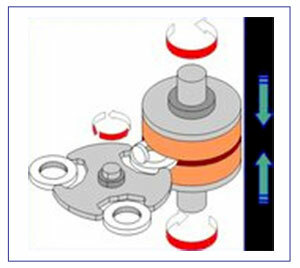 Grinding wheels can be changed in 20 – 30 mins compared to few hours on other double disc grinders. Spindle tilting device for greater productivity. Reproducible, repeatable and long lasting accuracies etc. Quill Type Main Spindle Units With Unique Backlash Eliminating Mechanism. Each Nissei spindle is Hand scrapped by master craftsmen with years of experience, to perfectly match the spindle quill and metal casing. Double Disc Grinding / Duplex Grinding machines are offered with various types of feeding systems depending on the components. Nissei also offers various type of automatic loading & unloading systems for its machines. All the systems are designed & developed by Nissei in-house. SKB are fully equipped for sales, after sales, service & technical support for Nissei with experienced engineers trained in Japan. 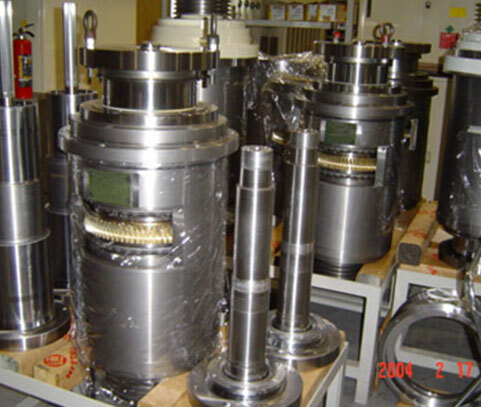 Some of the best and well known users of Nissei machines in India for over many years...: NBC Bearings, Koyo Bearings, Nachi Bearings, Federal Mogul Group, India Piston Group, Endurance Technologies, Brembo, Shriram Pistons & Rings, Yutaka, Honda, Etc.